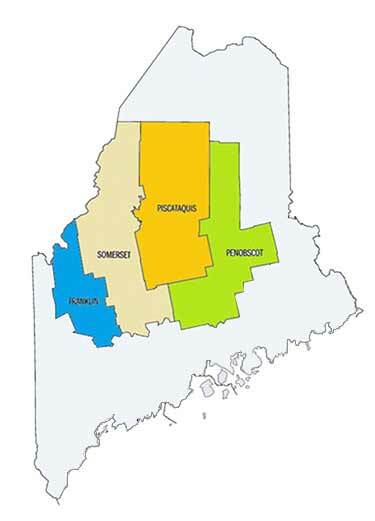 The five central counties of Maine (Kennebec, Franklin, Somerset, Piscataquis and Penobscot) contain 4 major lakes regions: Belgrade Lakes, Rangeley Lakes, Moosehead and Katahdin — all offering a wide variety of lakes and Maine lakefront properties. The Belgrade Lakes Region is located just a few miles from interstate 95 and Augusta, the state capitol. It is Central Maine’s premier lake area for recreation, relaxation, and wholesome family fun. It is famous for its sparkling scenic streams and chain of 7 lakes (East Pond, Great Pond, Long Pond, Messalonskee Lake, McGrath Pond, North Pond and Salmon Pond), its panoramic views of fields, hills and woodlands, and its inviting towns and villages. Whether a destination for vacationing or to find a Central Maine lakefront home for year-round living, the Belgrade Lakes Region provides activities for all ages: golfing, boating, excellent fishing, hiking, many seasonal events and a variety of shops and restaurants to explore. 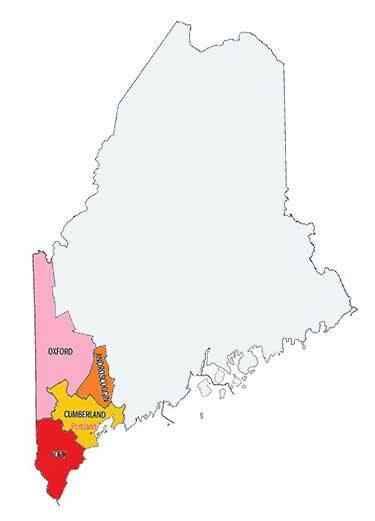 The Rangeley Lakes Region consists of six major lakes (Rangeley, Mooselookmeguntic, Richardson, Aziscohcos, Umbagog, and Kennebago) plus hundreds of smaller lakes and ponds. Historically known as a fisherman’s paradise, this area offers a multitude of outdoor activities for both young and old — from alpine skiing at Saddleback Ski area, hiking trails including the Appalachian Trail, to fishing for trophy-sized Salmon and Brook Trout, and groomed snowmobile trails offering some of the best riding in the Northeast. 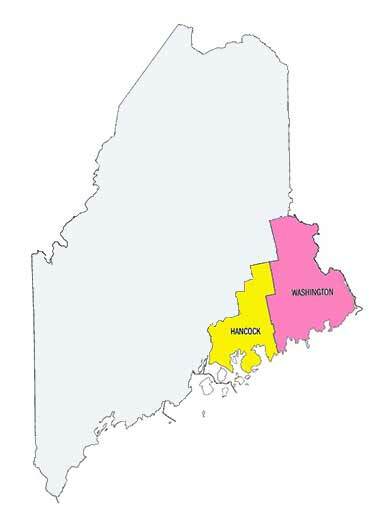 This sparsely populated region is a great place to get away from it all and to find a Maine lakefront home for raising a family or to retire. 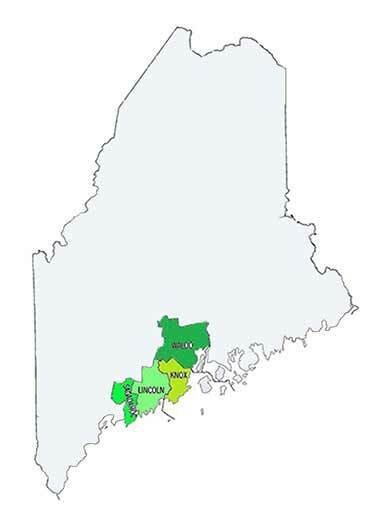 The Moosehead Region is one of the most stunningly beautiful places in America. Moosehead Lake is truly the crown jewel of Maine lakes at over 40 miles long, 20 miles wide and covering 75,000 acres. A century ago, fashionable visitors from New York and Boston arrived by train to summer in the grand hotels that used to be on the shores of Moosehead Lake to escape the heat, noise and crowds of city life. Now, it is the ideal destination to recharge and reboot amid pristine solitude and vast wilderness. Whether you are looking to fish the lake, hike the vast forest trails, catch a glimpse of a moose, or take a lake cruise on the steamship Katahdin,Moosehead has it all. So, picture yourself here with your own private Maine lakefront home. The Katahdin Region is one of the best kept secrets in all of New England. Home to Baxter State Park’s 200,000 acres of wilderness and Mt. Kahahdin, the state’s highest peak at 5,267 feet and at the eastern end of the Appalachian Trail, this area is located off the beaten path just an hour’s drive from Bangor and the Interstate. The lakes and rivers in this area are considered to be among the best in the world for kayakers, canoeists, and whitewater thrill seekers. The Katahdin Region provides exciting family wilderness adventures and ideal place to vacation or to live. Let us help you find the perfect lakefront home in Central Maine by using our Customized Property Search feature below. This list of lakes and ponds, by county, includes only those that are 100 acres or more in size.